Makes high quality animations a breeze. 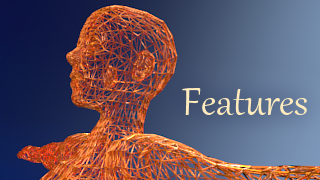 Use Blender’s rich animation features such as the graph editor, constraints and the NLA editor. Import your own Shape (from Open Sim or compatible worlds) into Blender and make accurate animations that take into account the size and shape of your avatar. Gender selector for male/female characters. Do all your Shape editing within Blender: Edit your shape in Blender using the same control sliders as in SL. Your Character will be automatically weighted and rigged. 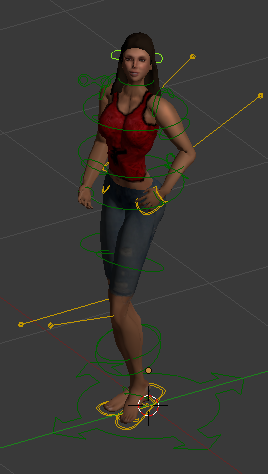 The rig can be reused for your own mesh characters. bvh: Export animations for the whole avatar, or only particular bones to BVH format compatible with SL. anim: Export to SL’s native animation format. This has more controls and features than exporting through BVH. collada: Export Meshes (static and rigged) in compliance to the mesh Importer ofOpenSim and compatible worlds. All export formats are fully compatible with OpenSim and similar online worlds. Default material setup for all parts. Use Blenders tools such as the material editor for layered texturing. Or use projection painting to create texture based skins and clothes. Rigging can be customised or replaced entirely without affecting the animation export. For further details please lookup the reference guides (All documents can be found on the right sidebar) and use the category search at the top of the right sidebar.